While Small Caps lead on the daily timeframe, it's the Nasdaq 100 which is leading the weekly charts. 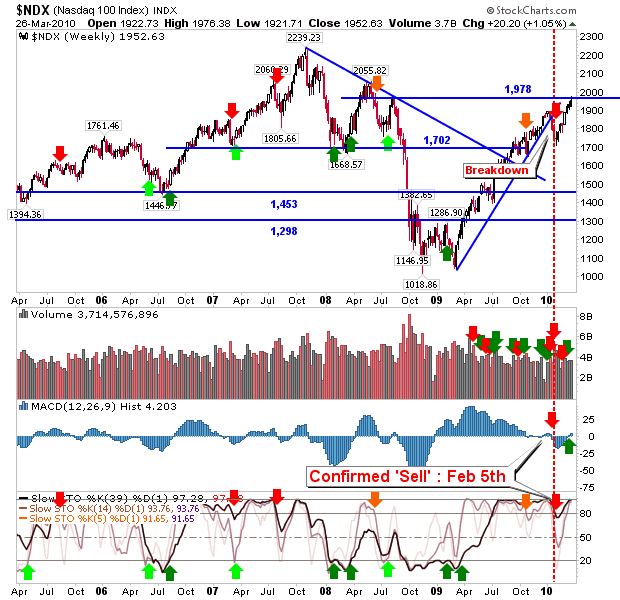 Friday saw the lower of the two 2008 reaction highs hit by the Nasdaq 100; will this be the reversal point? 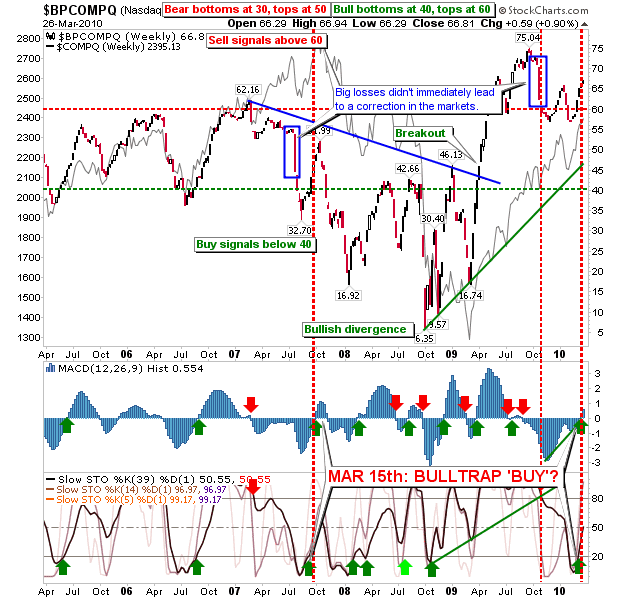 The S&P is not there yet but with the MACD trigger 'buy' bulls got another tick in their column. Breadth indicators also switched bullish. 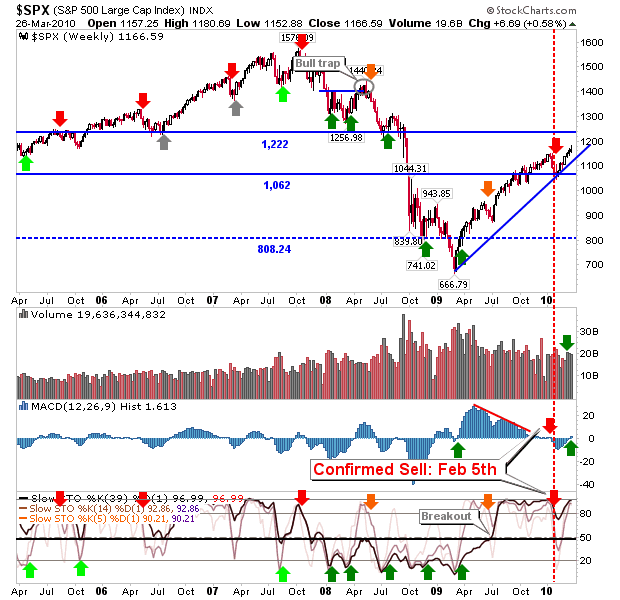 The Bullish Percents offered what could be a bull trap 'Buy' March 15th, but because the indicator is so overbought it may not bring as quick a reversal (but it could be sharp) as it did back in 2007.